Since then Imran Khan has been elected Prime Minister, and is making his brand of populism, and possibly all others, actually work. As a politician, you can call him whatever you like. But long before he entered politics he was a national hero, international icon (at least in the cricket-playing world) and heartthrob. Everything every other politician wants be in fact, whether or not they admit it—he was already. Consequently, if Imran has any problem with the leader of another country he can turn everything into a personality contest. Few world leaders ever, and surely none in our day, have been so idolised as a representative of their country, even by people who would never dream of voting for them. If it is Imran versus someone else, Imran wins, and therefore so does Pakistan. If these two theses are correct, it is not surprising that we are now on the verge of renewed conflict between Pakistan and India. The shooting down of spy drones is, in itself, nothing new. There have been several such incidents over the past few months, principally near the disputed territory of Kashmir. And the ongoing conflict has also seen the loss of one MIG-21 by the Indian side and the loss of one F-16 by Pakistan, so both the countries have bled equally. But now the conflict has escalated and the stakes have changed. By starting another conflict right now, Pakistan and India have given themselves a golden opportunity to make statements that will be heard round the world. The two traditional rivals are not actually fighting each other. They are working together to tilt the balance of global power in their favour. Both countries need the other to be there to legitimise their own actions. Though their overall needs are now different, their need for each other is the same. If France and Germany can get together after centuries to form the EU, what might Pakistan and India achieve when they have enough to make up over? Before Imran, Pakistan was run by politicians who only achieved fame outside its borders, if they ever did, by being politicians. The citizens of most countries would agree that their politicians are the last people they want representing their country. Celebrities, high achievers in their fields and learned academics are those generally held up by the nationals of a given country as being “one of us”. It should also be kept in mind that there is a general perception on both sides of the border that the government in Pakistan is run by the army and the Prime Minister is a puppet in its hands. So, if Imran Khan with all his charm has to come out of this pre-conceived notion then he must act decisively, taking actions that India and the world can understand come from his orders and not from the army’s. The return of the captured Indian Air Force pilot within days of his capture in Pakistan is one such applaudable step. Obviously smaller and developing countries laud anyone who can give them the international profile the country itself doesn’t have and all the while the great powers are happy to encourage such an approach. It is an open question whether Ronald Reagan would have enjoyed his long and divisive political career had he not first found wider public acceptance as an actor. The Polish government of pianist Ignacz Paderewski achieved more in ten months than many do in ten years, and got away with more too, largely due to the esteem in which he was held as an artist rather than a politician. Pakistan can no longer serve its old purpose of being the nasty irritant to India and other regional countries, ready to spread violence and fundamentalism to them if they stepped out of the Western line. Nor can it be nice and cuddly, because without Western agreement to such a policy no one else has anything to gain from being more than its fair-weather friend. But although you can point fingers at Pakistan, accusing it of being everything the West always wanted it to be, rightly or wrongly, you can’t do that to Imran Khan. Attack him, and you attack all the fame, success and glamour that goes with him. Those positive things are what Pakistan represents, as long as he is in charge. So now Pakistan has a way forward. It is no longer in the middle of a circle of sharply pointed but hypocritical fingers, unable to do anything but complain. It can take on other countries in the area it knows it has an advantage – warfare, as it is a recognised nuclear power – and make its actions seem civilized rather than terroristic, as long as Imran is the one ordering them. Major powers use war as an extension of diplomacy, and it is often seen as such, regardless of the real motives for their interventions When smaller countries get involved in conflict, this is seen as the opposite of diplomacy – the people are inherently warlike, their governments are inherently unstable and incapable, they have been taken over by terrorists, etcetera. Is anyone going to call jetsetter Imran Khan a terrorist, warlord or anti-democratic figure, and be taken seriously? Many of his predecessors were so called, but the same people who said these things won’t dare do that to one of their own. 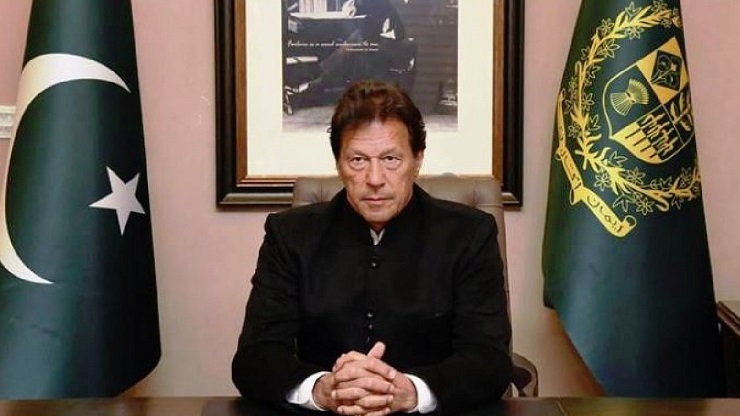 If Imran is involved in conflict, he is merely helping to restore the diplomatic order, and thus he can turn Pakistan’s reputation on its head without actually killing anyone to do it. India is also playing this conflict for all it is worth because it proves all its propaganda right. Relations with Pakistan have swung between states of outright war to eras of friendship and partnership. But at all times India has taken the same line the West has always wanted it to take: that if something bad is happening in the region, Pakistan must be behind it. As tensions have escalated, India has repeated its old insinuations that Pakistan equals violence. In Partition days both sides accused the other of attacking members of their main religious communities, with the end result that India was portrayed as the good guy and Pakistan the bad guy. It was therefore a natural progression for India to go along with the latest Western shibboleth, that Islam equals terrorism, in the hope of gaining further international support. There is some truth in the stories that terrorists operate from Pakistan. They also operate from many other countries, including Western European democracies. But India has always maintained that Pakistan is somehow a natural home for terrorists, ignoring Pakistani demands for legally credible evidence it can use to take action against any suspects. It is said that locusts only infest each place every seven years. According to India, the locusts known as terrorists live in Pakistan, and only go away every seven years. The more it can say such things, the more it maintains its good guy image and the more it can get away with being the opposite when it chooses to. It also gives itself more leeway to deal with countries the West doesn’t like, as the West wants to keep flattering it to prevent it falling under the “wrong influences” it courts. But does India really want war with Pakistan? Accusing Islamabad of causing problems serves Delhi’s purposes far more than actually resolving these problems. Peaceful resolution with a “new” Pakistan, that represented by Imran Khan, is much more in India’s favour, as it can claim to have won this seventy year old semi-frozen conflict without changing its values or position. But it can’t achieve that without more conflict to resolve, more grand gestures to make, more magnanimity to show in the eyes of the world. Why would India and Pakistan want to start a fight which serves both their purposes right now? Take a look at the other nuclear powers – or specifically, the United States and North Korea. North Korea is at the nuclear table, a member of this most exclusive international club, because Donald Trump committed the stupidest error in human history by agreeing to meet Kim Jong-un over his nuclear programme. Having been told this, Trump walked out of the latest US/NK summit to pretend he is a tough guy instead of a dupe. But in the process he took world leadership out of the door with him, and left a vacuum which India and Pakistan realise they are equipped to fill. Kim may have rockets, but he can’t make them work. By meeting him to discuss nuclear issues Trump has turned North Korea into a partner rather than a pariah, and made it legitimate for Kim to seek, and obtain, the resources he needs to make his rockets work, and keep himself in such exalted company. Nuclear safety depends on everyone knowing their place. The nuclear countries have to adopt particular relationships to each other in order to work together, and the US has been the unofficial club chairman since Hiroshima and Nagasaki. By letting North Korea into the club, while its regime is still unacceptable for almost all the other members, the US has fractured those relationships. By showing its weakness against the North Korean interloper now, it has left a void of leadership someone else has to fill, and fast. The Western powers who have nuclear weapons dare not usurp the place of the US as long as there is NATO. 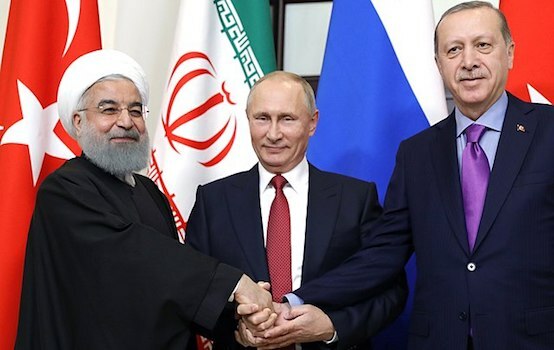 For the same reason, they will not countenance ceding that leadership to either Russia or China, or a combination of the two represented by the SCO. But all the other nuclear powers have sponsored both India and Pakistan to obtain nuclear capability, so that India stays onside and Pakistan keeps it there by being a threat to it. Supporting one has always meant supporting the other for a different reason, and both India and Pakistan have previously profited from this. Of all the nuclear leadership options on the table, a Pakistan/India alliance would be the least objectionable to the other members of the club, who would still be superior in many other ways, and thus not be threatened by such a leadership tandem. With Imran cleaning up Pakistan’s image, and India still being the cuddliest of the emerging economic powers, both have much to gain by working together, provided they also remain rivals whose legitimacy depends on contradicting the other. In the classic Peter Sellers comedy The Mouse That Roared, the fictional Duchy of Grand Fenwick devises a plan to declare war on the United States and then surrender, so it can access US aid to rebuild its economy. Through a series of circumstances, involving stealing a nuclear bomb, it actually wins the war, and the US surrenders instead on Grand Fenwick’s terms, which involve keeping the bomb. When the book this film was based on was published in 1955, in the middle of the Cold War, nuclear destruction was more widely discussed than it is today. But no one would have foreseen that giving India and Pakistan nuclear capability to threaten each other with would one day give them the keys to global leadership. Imran Khan and Narendra Modi are many things to many people, but it is not often you hear them called stupid. Both their countries have always needed the other to play a role on the world stage. 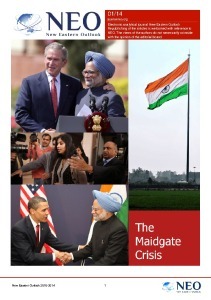 India’s role has enhanced, but only up to a point. Pakistan’s has severely diminished because the West doesn’t have the same use for it. By fighting today and making up tomorrow, maintaining their balance of threat in a positive environment, Pakistan and India can gain far more than they can by being relatively insignificant peace loving neighbours, or belligerents whose conflict threatens their own supporters. We may see a lot more conflict before the two countries reach the sunlit uplands, but both know that is the way to get there, and they can only do that together.